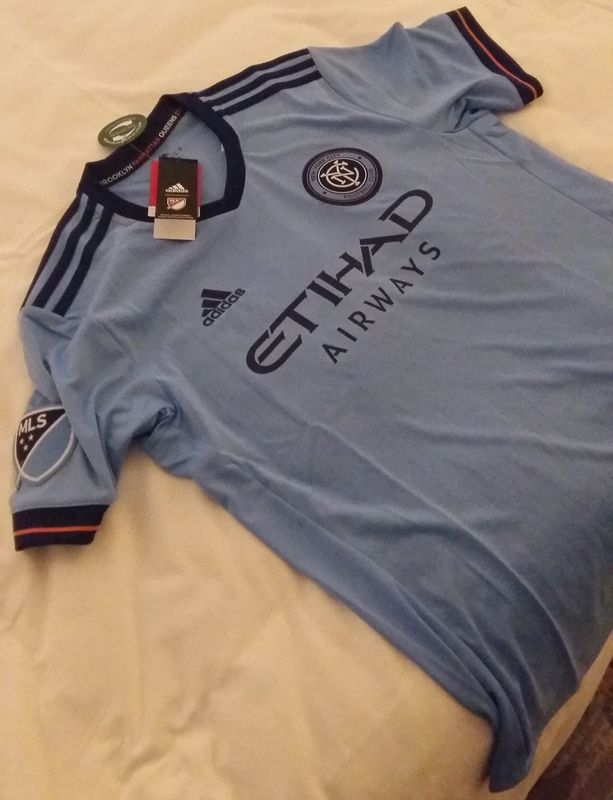 NYC is Blue: New Shirt Leak? This looks like the 2017-18 home shirt. Many on social media are saying that the club has removed orange from the badge, but it's clearly still there despite the general tint of the photo. They have added orange to the shirt, in the form on pinstriping on the shirt cuffs (bordered by navy as usual, the club almost never puts orange next to sky blue). Gone is the white. The neckline and Adidas stripes are now navy blue. The stripes are shorter than the previous home kit as well, stopping at the shoulder seam rather than continuing down the sleeve. 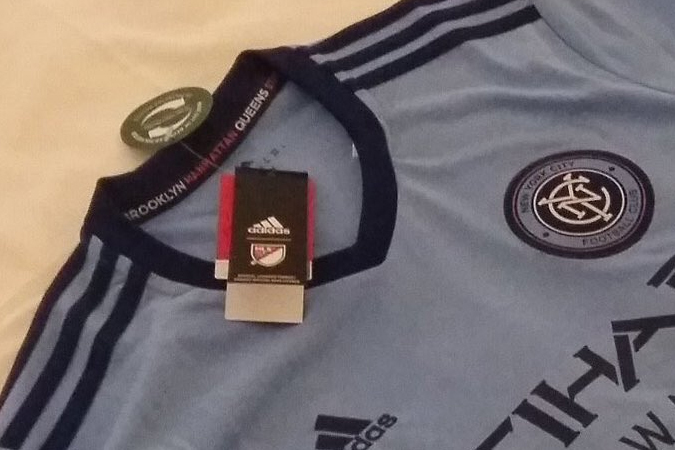 We can't see the jock tag in this photo, but the jersey appears to be a replica—no MLS patch on the left sleeve—so this particular one likely wouldn't have one anyway. Check out the neck tape, with the boroughs listed. This checks out - the design was voted on by supporters late last year. Looks legit. And I like it. Now let's see what shorts and socks they pair it with.